The Jane and Bertha in Me is a collection of poetry inspired by Charlotte Brontë’s masterpiece, Jane Eyre. The collection is comprised of poems by fellow Brontëite, the immensely talented Rita Maria Martinez, and was published in 2016 although some pieces have previously appeared elsewhere. However, the poems slot together to make up a remarkable and intriguing collection of Brontë inspired poetry. The result is an absolute juggernaut of a collection, and I don’t mean that it is a difficult task to get through them, but simply that there is so much packed into each poem, and so much packed into the book as a whole. I’m just going to say it now, I loved this collection and its unique take on the Jane Eyre story and legacy. There are far too many poems to be able to comment on them all individually, so instead I’ve decided to highlight a few of my favourites, and a few of the themes which run throughout the poems. And I was delighted to read a few days ago that this collection is about to be included in the syllabus of a gender studies course at the University of Kentucky. Those lucky students are in for a treat. The collection is split into three parts (Femme Covert, The Gothic Grotesque, and Promiscuous Reading) and is not a re-telling of Jane Eyre, at least not in a traditional sense. I see each poem as an homage to different aspects of both Jane Eyre and Jean Rhys’s prequel Wide Sargasso Sea. Martinez successfully embodies the spirits of various characters from Brontë’s novel but rather interestingly does not restrict herself to the narrative. Her poems may be inspired by all things Jane but they are the product of a different age, and take place in very different settings from those we know and love. 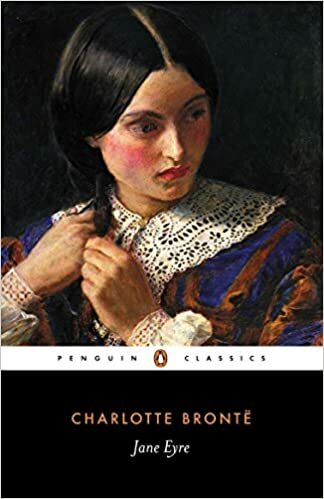 The Gothic/romantic sensibility and sense of English restraint found in Jane Eyre combines with modern day America to make this collection a fascinating and original read. Martinez’s poems touch upon themes both timeless and contemporary, and offer a refreshing interpretation of a story and characters we think we know so well. The poems also touch upon Martinez’s own experience with Brontë’s novel. The contrast between Jane and Bertha, between the governess and the madwoman, the angel and the whore, is a theme from Jane Eyre that is still much debated, and it features prominently in Martinez’s collection. I know you shouldn’t judge a book by its cover, but the beautiful cover art gives you a clue as to the major theme of the collection, as does the title itself. Although I’ve never really been a fan of the theory regarding Bertha being Jane’s dark double (I personally think Branwell wasn’t far from Charlotte’s mind during Bertha’s creation), Martinez presents the contrast between two very different women beautifully. The collection also examines the way these two women were brought together, the influence and behaviour of Mr. Rochester (nicknamed “Eddie” in some poems), and the restrictions of femininity more generally. It certainly challenges the romantic, rose-tinted view some have of the novel although as a proud member of Team Rochester, I feel Eddie gets a rough ride here. As I stated above, there are far too many poems to mention individually, and I don’t want to spoil the collection for those who haven’t yet read it. Instead I’m going to list my favourites from the three sections; nothing too detailed, but a little summary of the poems’ main themes and my favourite parts. These are my own thoughts and opinions and I know some will agree and others will disagree with them. However, that’s the beauty of literature; different people often read the same text so differently. Reader, enjoy. Reading Jane Eyre is an account of a first experience with the novel and the obsession that quickly develops. I especially love the description of Mrs. Lloyd who “hinted a secret at the heart of the text” just as we all do when introducing new readers to Jane Eyre. Fashion Remedy offers a modern twist on Jane’s situation. Should she take Eddie back or leave him to the “loony Jezebel?” I interpret the part when she sees Eddie’s burnt face in the car mirror as a nod to Brontë’s Jane hearing Rochester’s cries although they are separated and I enjoyed the references to his pet names for her. Jane Eyre in the Jungle Room explores the torment Jane endures at the hands of Mr. Rochester and his suitor, the beautiful Blanche Ingram. In this poem, the drawing room of Thornfield Hall becomes a metaphorical jungle which Jane desires to flee. Jane’s femininity is also contrasted with Blanche’s here, demonstrating that there is more to the representation of femininity in Jane Eyre and this collection than the contrasting figures of Jane and Bertha. Cross-Dressing brings Charlotte Brontë and the pseudomym she used to publish Jane Eyre, Currer Bell, into the mix. Literary cross-dressing is still a much-debated topic so this poem touches on issues both old and new. I also love the reference to Rochester’s actual cross-dressing in the form of a gypsy woman in Brontë’s novel. I am Thine, Charles Thunder made me think of Charlotte’s preferred pseudonym from her Glass Town and Angrian stories, Charles Wellesley/Townshend, who is arguably a male projection of Charlotte herself. Although this poem is not explicitly about the juvenilia, the comment that “slipping into disguise is second nature for C.B. in 1836” can be interpreted as a reference to the pen-names from her fantasy world. The poem also ties into themes about identity that run throughout the collection. The Madwoman is a particularly interesting poem. There is so much content packed into it, and yet it all runs along one line: madness. It really is just pretty much made up of derogatory statements that could be applied to the character of Bertha (and “mad” women in general), and it’s brilliant. Blanche Ingram’s Bitterness is perhaps my favourite poem from the collection. The character of Blanche has always intrigued me, and I don’t think she gets much sympathy from readers because she’s seen as being quite a hard character and gives as good as she gets. However, I think Mr. Rochester treats her pretty badly. This poem does what the title suggests and captures the sense of bitterness felt by Blanche after being ditched in favour of Jane. I particularly love the line, “Good riddance to him and his French freeloader”. Despite Blanche’s loss, I have always believed that she lands on her feet somewhere due to her tough nature, and this poem depicts her fierce, fighting spirit even in defeat. Governess-To-Go transports Jane into the 21st century. Filled with references to pop culture and every day modern life, Martinez captures the demanding and lonely role of the governess perfectly. Letter to Edward is a more sympathetic portrayal of Mr. Rochester, and more in line with my own way of thinking. In this poem, he is no monster, no villain, but a complex and misguided man. It does make reference to him hating Bertha (I believe he hates his marriage and position but not the woman herself in Brontë’s text), but it also stresses that although he is “no boy scout”, he is “no Heathcliff either”. I enjoyed the nod to Bertha setting Rochester’s bed on fire too. Postmortem Lament for Charlotte is a rather poignant poem that explores the aftermath of the success of Jane Eyre for its author. Its exploration of Charlotte’s private nature and her personal life being invaded is actually quite heartbreaking and forces the reader to remember that behind the literature and the myths was a real woman. The line, “your little brother bagged an older babe” will probably have Charlotte turning in her grave, and it will certainly stick in my memory forever. The Literature of Prescription is an intriguing poem that mixes the historic and the modern, medicine, two different literary Charlottes (Brontë and Perkins Gilman), and Robert Southey’s infamous advice that “Literature cannot be the business of a woman’s life”. It’s a prefect example of Martinez’s unique re-imagining of her subject. St. John Rivers Pops the Question explores the relationship between Jane and her clergyman cousin, St. John, and also compares the latter to Eddie. Again, it’s a mix of Brontë and Martinez, of old and modern, and of different types of femininity. Jane Dreams of Rescuing Helen is a re-imagining of the fate of Helen Burns, the tragic classmate of Jane at Lowood. There are references to the narrative of Jane Eyre in addition to Martinez’s own creations. What a pair St. John and Helen would have made. I’d love to read a full-length narrative about these two pious and evangelical souls. I’ve already stated above that I loved The Jane and Bertha in Me, but my little snippets of information/analysis do not do it justice. Martinez has created a beautiful, lively, and eclectic mix of poems inspired by a Brontë classic. It’s a refreshing yet comforting read to Brontëites as it mixes the familiar with the new and I’d certainly recommend this one to fans of Jane, Charlotte, Anne, or Emily. All quotes from the above article are from The Jane and Bertha in Me published by Kelsay Books. You can follow Rita Maria Martinez on Twitter under the name @CubanBronteite.